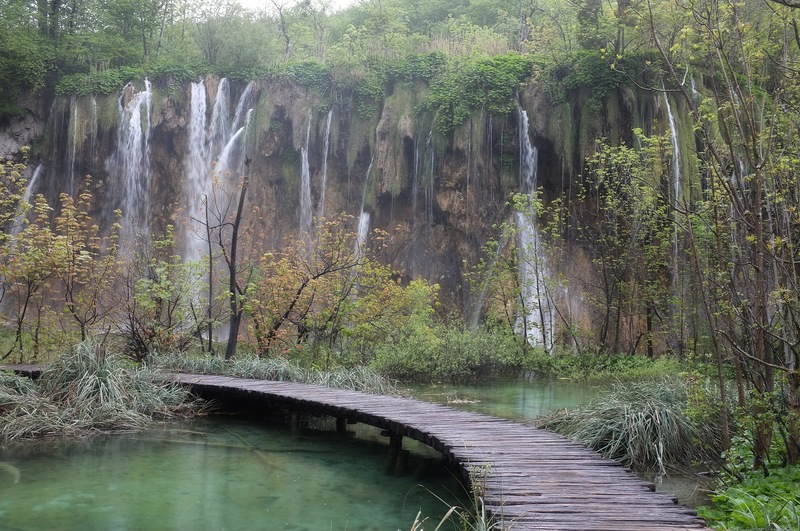 While visiting the Plitvice national Lakes in Croatia, we walked on this curvy path. The boardwalks there bring us close to the waterfalls and other water features. While my previous post shows a birds-eye view of the boardwalk; this photo shows a close up of the boardwalk. The walk brought us a close view of the waterfalls; it was amazing! This week’s DP photo challenge is Opposite. I like hiking up the Sanqing Mountain in China. 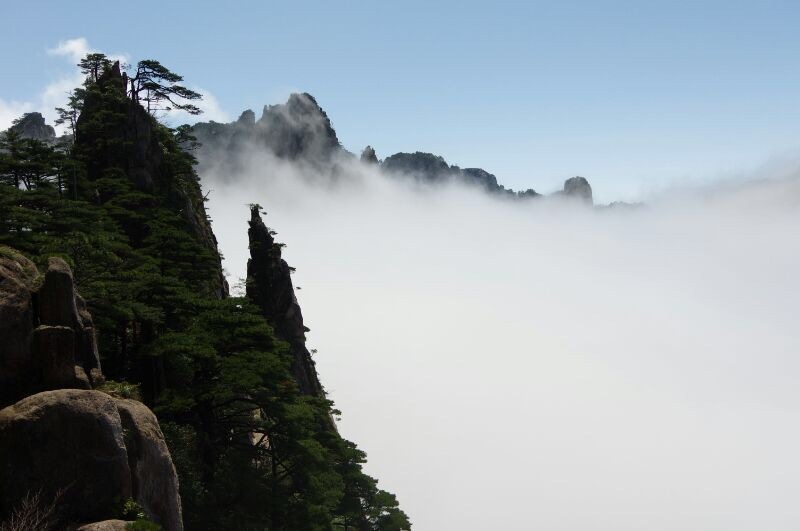 It is a place of high mountains with contrasting views. On both sides of a gorge, we have trees reaching out to the opposite direction as if trying to hold hands with each other. Both sides of the gorge are steep, but one side is relatively smooth and the other side sort of rugged. This week’s photo challenge is Eyes. I have been photographing this ancient building in China which has been restored a few times in the past. This was taken at the corner of two walls which are tiled. The tiled painting shows Lion Dance in the middle – you can see at least 5 Lions there with their vivid eye. At the bottom there is a procession of sorts. On the right, there is a sword dance by two people. On the left are people playing the musical instrument. This is more than just a cartoon!